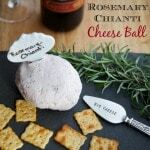 Rosemary Chianti Cheese Ball has only a few simple ingredients and makes for a tasty appetizer any time of year. A few weeks ago I hosted Bunco and when it’s the hosts turn, they have to provide all of the food and beverages for the event; which is for twelve people. Since I had February, I wanted to keep with a red theme and came up with this Rosemary Chianti Cheese Ball. Cheese Balls are deliciously quick and so easy to make. 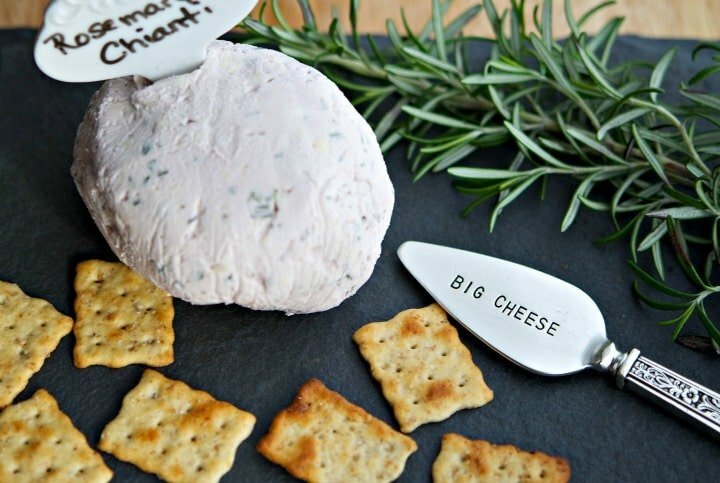 For this one, I used cream cheese, Jarlsburg cheese, fresh chopped rosemary and a dry Chianti wine. They only take 10 minutes to prepare; however, they need to be chilled for at least 2 hours in order to set. 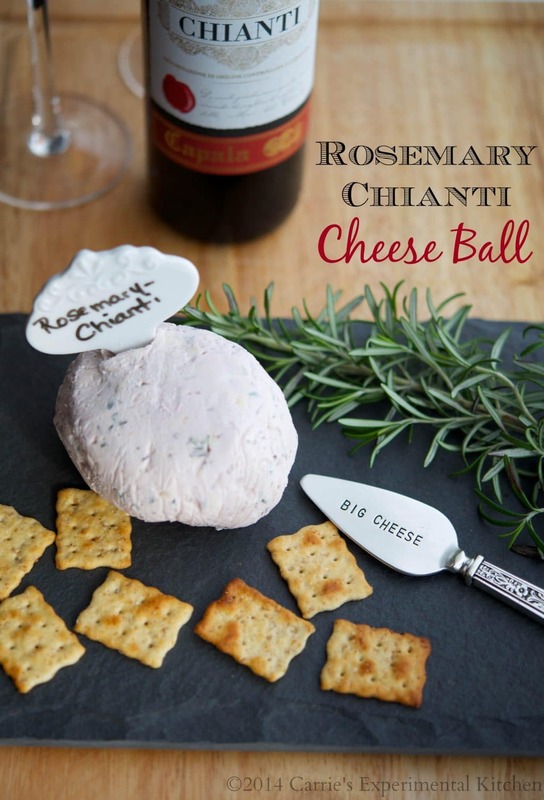 My guests all loved this Rosemary Chianti Cheese Ball and I served it with crackers, but you could also use sliced French or Italian bread. I think I’ll try making this again for Christmas or New Year’s Eve too. If you’re looking for Bunco ideas for March, check out my Irish Bunco post from last year. ~Enjoy! Add all ingredients to your food processor and pulse until all ingredients have been combined and the mixture starts to form into a ball. Remove the cheese and wrap in plastic wrap; keeping the ball shape.Refrigerate for at least 2 hours; then serve with crackers or crostini. *Allow for an additional 2 hours of refrigeration time.